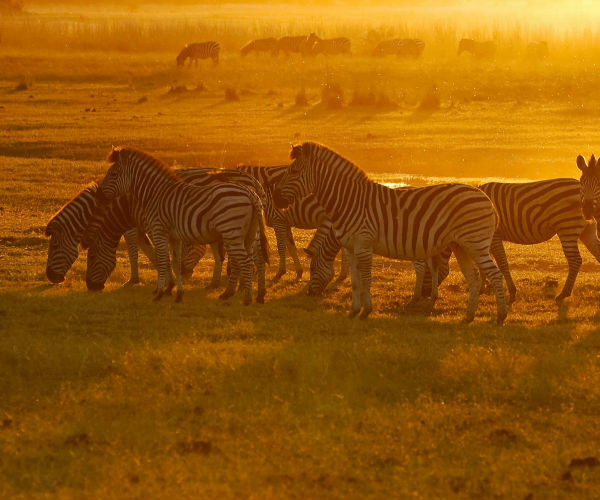 Namibia: Africa’s adventure playground. The land of unrelenting sun, where the ground appears to beg the heavens for rain and the vast landscapes stretch uninterrupted for hundreds of kilometres without signs of Man’s intervention. Living deserts where one gazes in wonder and amazement at the displays of changing natural colours, and at the animals and plants that somehow survive in this seemingly harsh environment. 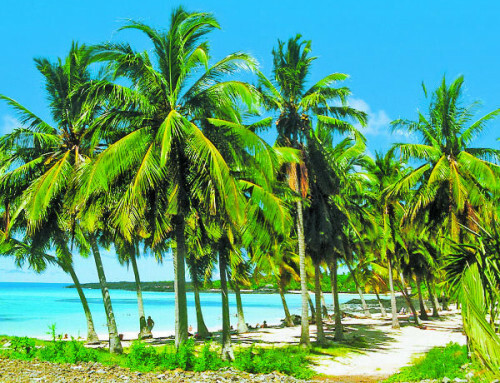 This tour covers many of the popular highlights but also includes many “off the beaten track” destinations seldom visited by mainstream tourism. Flexibility, a willingness to participate, an awareness of the elements, and a desire for unlimited adventure, are essential in order to best absorb all this tour has to offer. Our adventure in Namibia begins in the Capital city of Windhoek at 14h00 when everyone meets at our hotel for a short tour briefing. We then set off on an afternoon of driving through Windhoek and viewing the attractions of the city, including the local museum and church before setting off to enjoy the warm hospitality and an own expense dinner at the infamous restaurant “Joe’s Beerhouse”, or a similar restaurant. We spend the night in comfort at our hotel and prepare for the next day’s adventure. This morning, we leave the city behind us and begin our winding journey south into the open plains of the vast Kalahari Desert. Our journey today takes us through remote farming towns that offer us a glimpse of daily life in Namibia. Our journey will take the majority of the day but there will be plenty of scenic beauty to keep us occupied. We will arrive at our overnight accommodation in the Kgalagadi in the late afternoon. 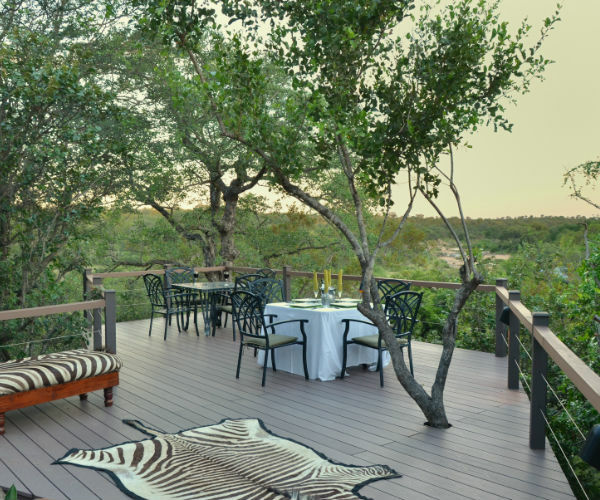 After a sumptuous breakfast, we embark on our game drive through the Kgalagadi Transfrontier Park, a National Park spanning both South Africa and Botswana. Well known for its predator population, including cheetah and the massive Black Maned Lion, the Kgalagadi Park offers unique game viewing opportunities and spectacular birdlife. We will spend most of the day traversing the South African side of the park in search of animals. Our guide will take time to give us more information on the animals we encounter in the park and will explain how they survive in the desert conditions. Tonight we stay in the comfortable rest camp accommodation amongst the Camel Thorn trees. Rising early, we witness the sunrise over the landscape before breakfast. Today we travel one of the most scenic Kalahari roads, crossing numerous high dunes which offer spectacular viewpoints. 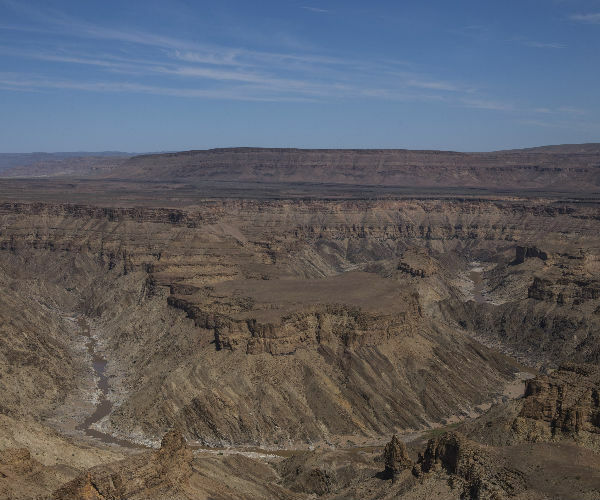 We make our way to Keetmanshoop where we have a short comfort break and then continue onto the Fish River Canyon, regarded as the second largest in the world. We spend some time taking in the views of the canyon before moving onto our stop for the night at Ai – Ais, the Hot Springs located in the depths of the canyon. A relaxed morning we enjoy breakfast in camp before traveling on remote roads to the southernmost point of our journey – the mighty Orange River. Forming the border with South Africa, the Orange River creates a narrow band of green vegetation that winds its way through the towering rugged mountains of this seemingly burnt landscape. We will enjoy a lunch stop and possibly even a swim in the river. This afternoon we travel north along the diamond mining area of the Sperrgebiet and make our way to the charming little town of Aus where we spend the next two nights in accommodation. An early start, we make our way across the open desert plains toward the Atlantic Ocean. Our first stop today will be at the Ghost Town of Kolmanskop. 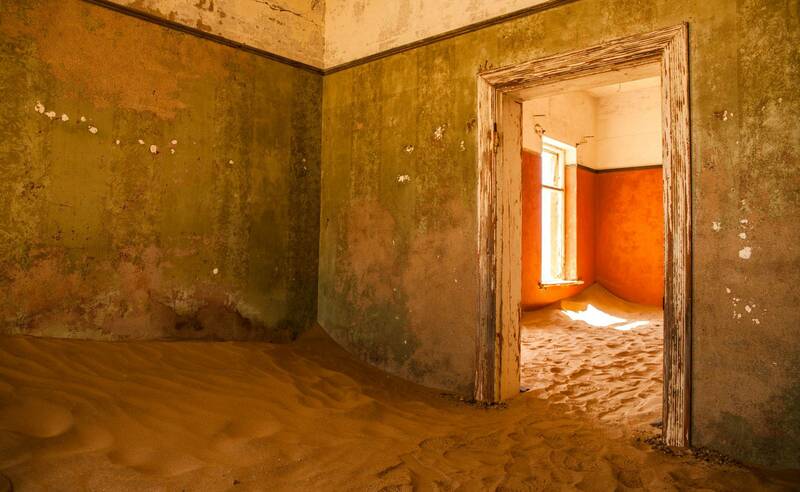 Once the site of a prosperous diamond mine, the town is slowly being reclaimed by the shifting sands of the desert. We enjoy an entertaining tour and a walk around the town and through the old buildings that brings the colourful history to life. Then it’s on to Luderitz, a small harbour town on one of the most inhospitable coasts imaginable. We will visit the cross planted here by Dias in 1487 and will spend some time strolling around town, enjoying the unique architecture. This afternoon we travel back into the desert and will stop on route to spend time with a colony of wild desert horses. Lunch today will be own expense. A relaxed start, we enjoy breakfast before we continue travelling north into the dry interior. 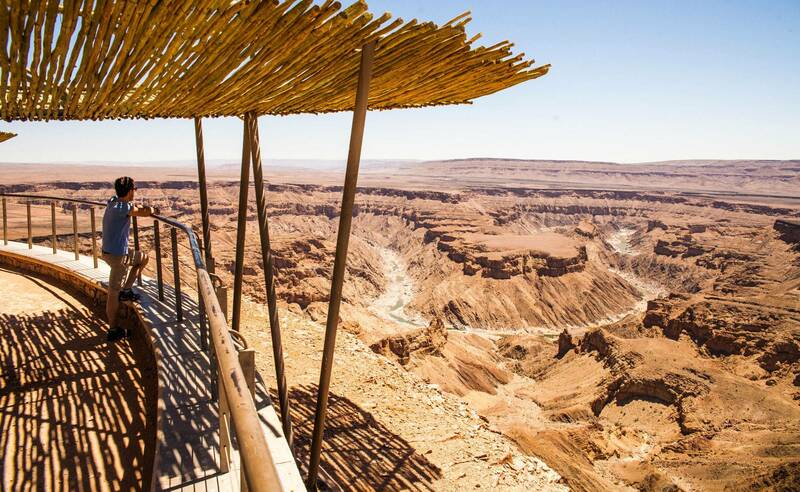 Today we venture into the heart of the Namib to our privately owned game reserve, taking in its vast plains, red dunes, and towering mountains of stone. 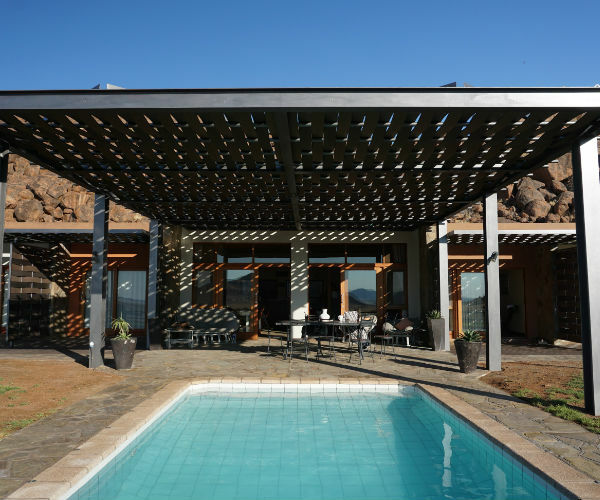 Our next two nights will be spent at the GREENFIRE DESERT LODGE, a remote lodge nestled against a rock outcrop within a conservancy that forms part of the vast Namib Rand Nature Reserve. The reserve is home to a variety of desert adapted ecology and wildlife and we will enjoy an extensive walk as well as a day and night desert drive during our time here. 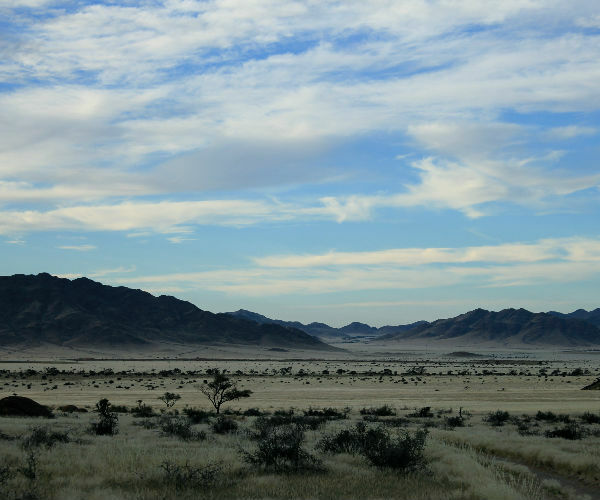 Awake to desert vistas that extend further than the eye can see. This protected wilderness has been conserved and is protected through the proceeds of tourism. All animals here exist in completely natural surroundings and are free to move unrestricted over the full extent of the 22,000 hectare reserve. Our guide will help us understand the unique desert fauna and flora. Today we start off with an informational and educational walk in this beautiful environment, looking for tracks and signs of animal’s behaviour and survival strategies allowing them to exist in these harsh conditions. 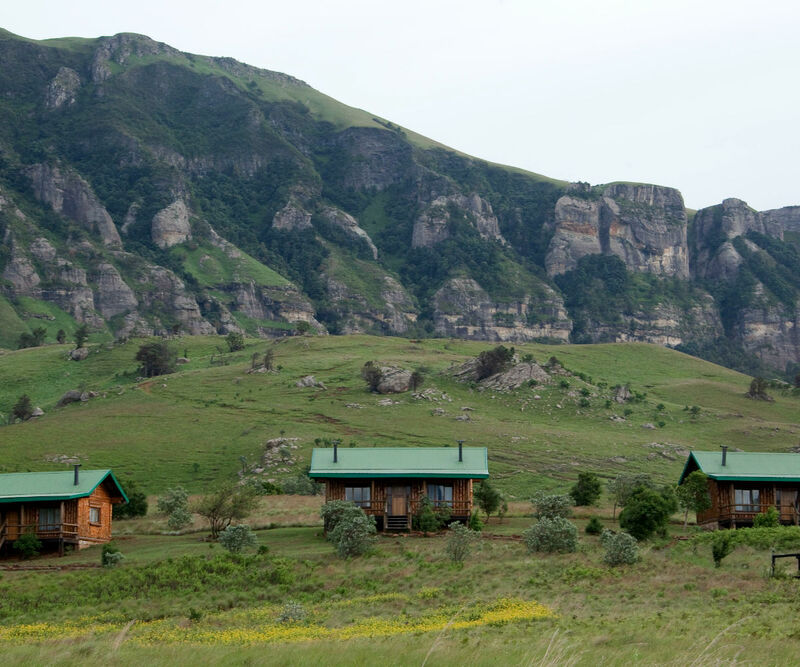 During the heat of the day guests have time to relax at the lodge or to explore the surrounding area on foot should they wish to. In the afternoon we depart on a desert drive. 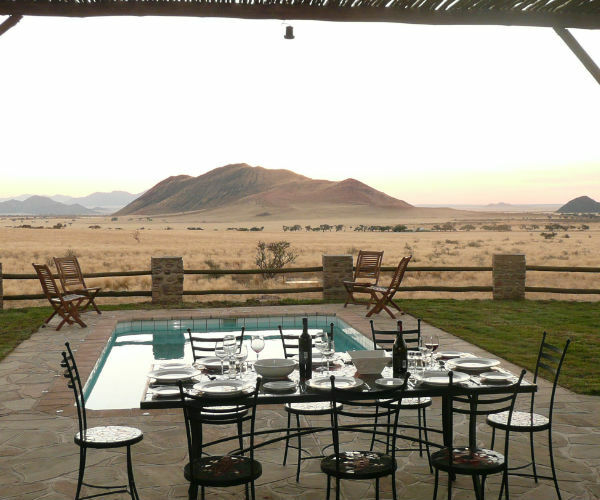 During the drive we stop at a suitable place to enjoy the sunset and a traditional sundowner drink. Once it is dark we slowly drive back to the Lodge and hope to encounter some nocturnal animals adapted to living in the desert. Setting off early, we continue across the endless desert plains to the Sesriem Canyon and the awesome Sossusvlei dunes – reputedly the highest in the world. 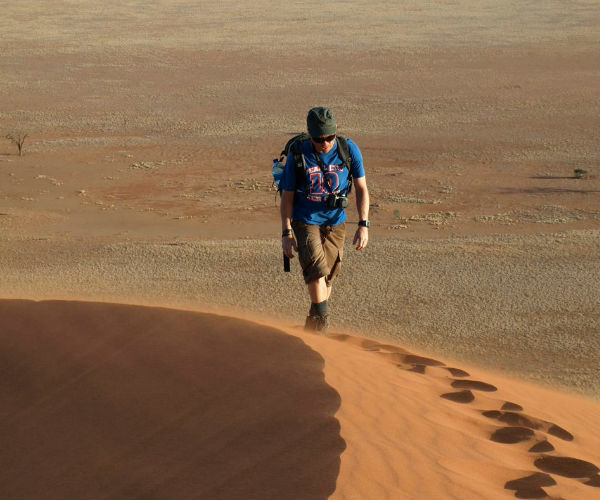 After exploring the canyon on foot, we will transfer into the heart of the dunes and will spend time climbing these spectacular mountains of sand before moving on to our accommodation in the desert. 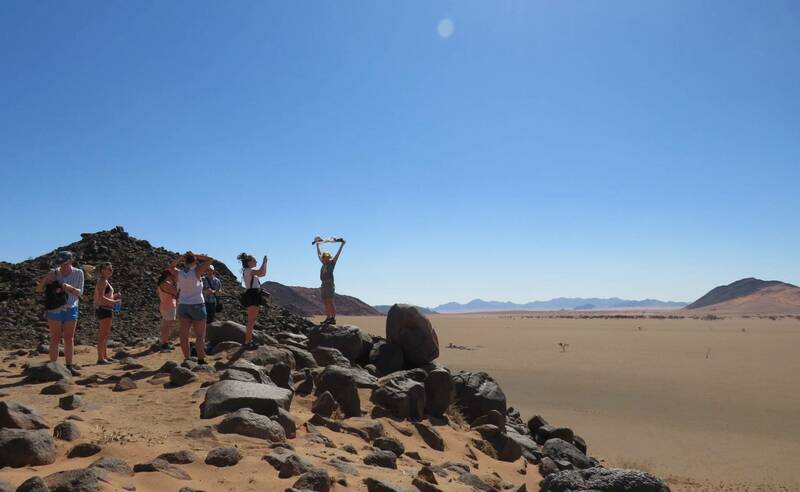 On this day we take you to climb the dunes and explore the Sesriem Canyon, Sossusvlei and Deadvlei with a 4×4 transfer in and out of these attractions. Crossing through the Namib Naukluft Park, we make our way to the coastal town of Walvis Bay and then on to Swakopmund where we spend two nights in comfortable accommodation. We explore this holiday town and its surrounds thoroughly and enjoy both our evening meals at local restaurants. (own expense). Swakopmund is a must-see for any visitor and offers guests a variety of adventure activities. Clients will have the opportunity to partake in quad biking, sand boarding and skydiving whilst here (own expense). For those that simply want to relax, the town offers a variety of restaurants and shops where one can sit and enjoy the town atmosphere. Today we head up along the barren Skeleton Coast, scene of many a shipwreck, to the seal colony at Cape Cross where thousands of Cape Today we head up along the barren Skeleton Coast, scene of many a shipwreck, to the seal colony at Cape Cross where thousands of Cape Fur Seals can be seen ashore. We will get within very close proximity to these wild animals. We then travel through the desert to visit the Bushman rock paintings at Brandberg, where we spend the night at the foot of the mountain at Mt Brandberg Nature Reserve. During our time here we hope to see the rare Desert Elephants. Making our way up north we enter Etosha National Park today, arguably the highlight of the tour. 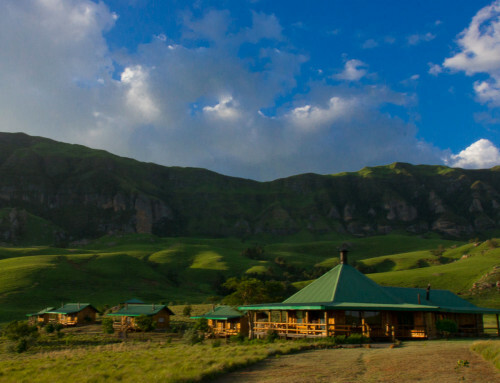 We spend two nights here within the park in search of the big game that this park is so well known for. One evening guests have time to spend at a floodlit waterhole watching the many animals that come down to drink. 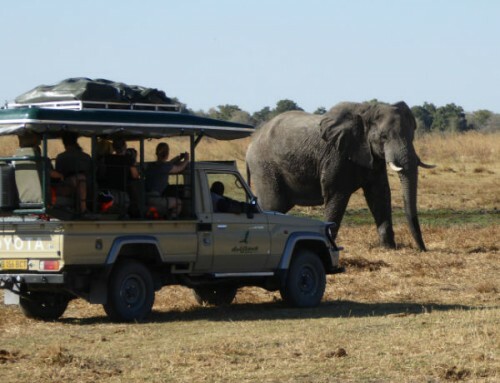 During these days we will conduct extensive game drives, visiting all the little waterholes during the heat of the day and staying within the park the entire time. 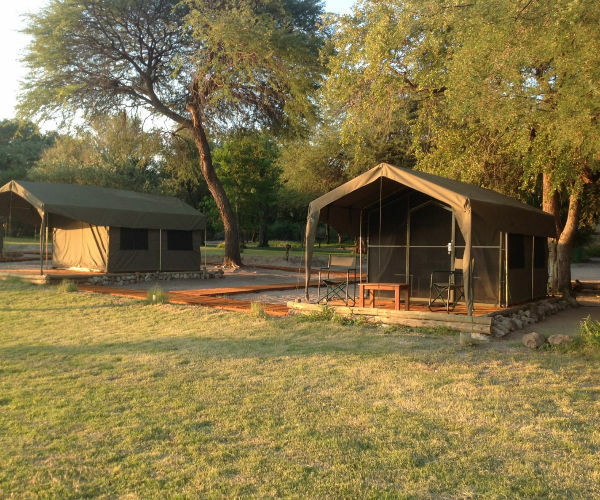 Each night we stay in one of the rest camps of the park in comfortable accommodation. 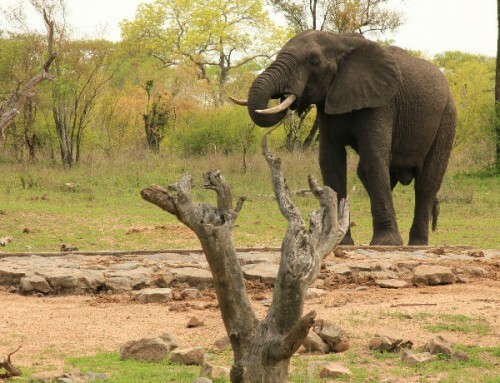 After a short morning game drive, we exit the park and travel down to the impressive Waterberg Plateau National Park. This plateau is ecologically diverse and has over 200 different bird species with some rare species of small antelope that occur on the lower hills of the mountain. This afternoon we will hike up the mountain and will enjoy the views of the Kalahari from the summit. We enjoy our last night of tour at the base. An early morning, we pack up and begin our journey back to civilization. The drive to Windhoek will take approximately 5 hours and we intend to be back in the capital by 13h00 where the tour will officially come to an end. Lunch will be enjoyed at your own expense. Clients may book a post-tour night accommodation through Drifters. For those flying out this afternoon, please allow for check in time and at least an hour for the airport transfer. Please ensure that you are in possession of valid travel documents for Namibia and South Africa. Some nationalities do require visas for Namibia. On the tour we spend two nights in Kgalagadi Transfrontier park on the SOUTH AFRICAN side, so please make sure that you have a SA Visa in case you need one for this leg of the journey. According to the transfrontier park rules clients will not need a visa due to the fact that we do not cross into South Africa via the National Park but we suggest clients confirm with their local embassy. If you have any queries in this regard, please do not hesitate to contact us. Although we will endeavor to assist, we do not accept any liability or obligation for your travel documents. The contact telephone number for Namibia Tourism in Johannesburg is: + 27 11 784 8024. Make sure that your passport has at least six months’ validity from your planned date of return to your home country. Make two photocopies of valuable documents such as your passport, tickets, visas and travelers cheques. Keep one copy with you in a separate place to the original and leave another copy with someone at home. The Namibian Dollar and the South African Rand are the currencies used in Namibia. All major currencies can be exchanged in Namibia. Please ensure that you have enough Rand as there are very few opportunities to exchange foreign currencies. Major credit cards are widely accepted and can be used to pay for restaurant meals etc. Small trading stores will probably not accept credit cards. The only necessary prophylaxis for Southern Africa is against Malaria, but on this tour there is no eminent danger as Namibia is regarded mostly as a Malaria free zone however prevention is better than cure, so we do advise to also use insect repellent on exposed areas after sunset. Please consult with your general practitioner regarding this. All Drifters guides have first aid boxes for use in emergencies, however we recommend that you bring along your own basic supply of medication, headache tablets etc. ** Luggage should be limited to a maximum of 15kg’s HARD SUITCASES ARE NOT SUITABLE!! PRE and POST night’s accommodation can be arranged at the Hotel Safari, Windhoek. It is advisable to overnight at the Hotel Safari the night prior to your tour departure date if you have not already made alternative arrangements. 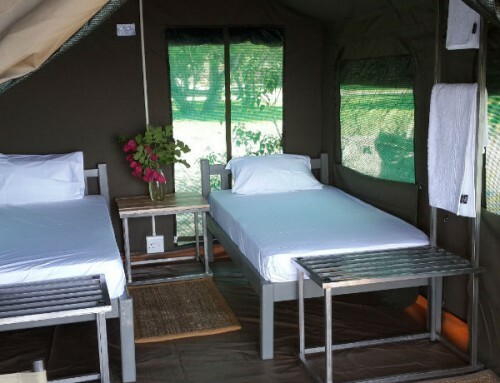 Accommodation at the Hotel Safari can be arranged through Drifters or your travel representative. The Hotel is ideally situated ± 3 km away from the noisy city centre. This trip requires a valid passport and Visa for certain nationalities. ALL linen is provided and you will NOT need a sleeping bag and pillow for the rest of the tour.. Seasonal Malaria precautions are necessary and are locally obtainable. A barrel bag or backpack is best suited for this trip (suitcases do not fit into the space provided). An extra day bag or camera bag is advised. Spending money required will be for the restaurant meals, drinks, visas, tips, curios, airport transfers, and any other optional excursions. Remember, help us to help you by participating and by keeping an open mind and flexible mentality. Our price includes all food as specified, coffee, tea, juice at breakfast, transport, professional guides, mekoro hire, accommodation, group equipment, permits and park entrance fees. Our price does not include restaurant meals where stipulated, visas, tips, curios, optional excursions, alcohol, bottled water and soft drinks, airport tax, airport transfers and airfares. Before departure clients will be required to enter into an agreement pertaining to our booking conditions and general information as defined on our website and in our brochure. Clients are required to have their own comprehensive personal travel insurance. – Guests not staying at the Hotel Safari must arrive at the Hotel at 13h00. Please note that we strongly advise against flying out on the day the tour ends. Drifters will not be held responsible for missed flights on this day. We generally travel long distances and late arrivals are common. Please note that linen will be provided and you will NOT need a sleeping bag and pillow for the rest of the tour. • Batteries can be charged from a 220 volt source pre tour departure in Windhoek, on most nights at the lodges and every day on the truck while the truck is driving from a 12 V inverter. • Please note that Namibia accept South African Rand as the currency is 1 to 1 with SA. All our tours require a certain level of participation from all group members. This entails assisting with the food preparation, washing of dishes and keeping the truck clean. Extra N$ 950.00 for a professional camera man. Which includes 2 DVD’s one with still photos and the other documenting your skydive experience, from start to finish. Pick–up and drop-off at Lodge. This activity can be done in the morning or afternoon. There are 2 options: 1) Fully automatic, 2) manual. On a Snowboard adapted for sand. Beginning on training rides, the customer first masters the basics before going onto the larger dunes where one can reach a speed of up to 80km/h. Top range equipment is supplied with excellent and experienced instructors/instructions. Pick-up and drop-off at Lodge. Light lunch and drinks included. This tour is a half day tour. The tour takes you through the dunes where one will track and find the hidden life in the seemingly desolate but amazing landscape. One will see the small five, Palmato Gecko, Peringuey’s Adder (Sidewinder), Shovel Snouted lizard, Fitzsimons Burrowing Skink, Namaqua Chameleon as well as other desert creatures, minerals and desert plants. The tour is eco-aware, informative, interactive and fun. Endless photographic opportunities. All boats are catamaran ski-boats of various sizes with toilets on board. Passengers proceed to Pelican Point to view the Cape Fur Seals. Experience the thrill of feeding a few seals who will join the passengers on the boat. Be highly exhilarated to see dolphin’s riding the bow of the boat. Enjoy a complimentary glass of champagne with fresh oysters and snacks. Skippers are fully qualified, comply with all Namibian Tourism and Tour operator regulations and requirements as well as being tri-lingual (English, Afrikaans and German). Includes Scenic Ride from Swakopmund down to Walvis Bay, Lunch, safety gear, transfers. INCLUDES : SPARKLING NON ALCOHOLIC CHAMPAGNE AND TRANSFERS . Enjoy a 90min quad drive as the sun is setting and stop at the top of the dune to enjoy fresh oysters and non-alcoholic champagne watching Namibia’s beautiful sunsets.